Cricket in April. It’s rarely straight forward. Unfortunately, week 3 of the County Championship was no different, with rain and wind the order of the week. Despite the miserable conditions, there was a surprising amount of cricket played with a couple of wins falling in just two full days play. Just as last week, we must start with Nottingham who headed to Worcester, for this week’s County Round-Up. 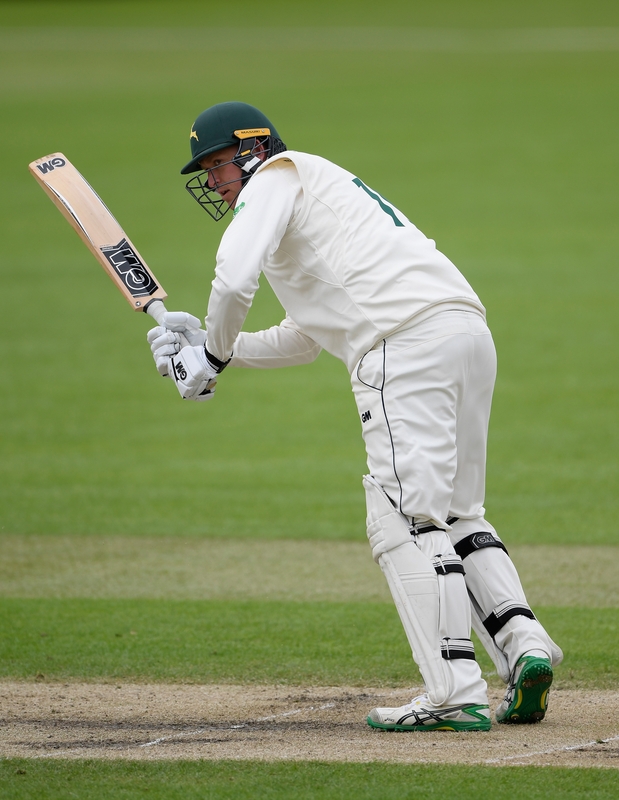 The GM bowling cartel was once again on fire for Nottinghamshire with two players picking up five-wicket hauls, allowing Notts to clean Worcestershire up in under two days. Luke Fletcher kicked off the first innings with career best figures of 5/27 in just 9 overs, helped ably by the in-form Jake Ball who pitched in with 2/25, as Worcester were knocked over for 110 in under 27 overs. Travis Head was one of only three Worcester batsmen to make double figures. The Australian stroked his way to a boundary laden 33 before he fell LBW to Fletcher. Notts then racked up 300/9d with GM and New Zealand star Ross Taylor notching up his second 50 of the County season, while Fletcher continued to ride the wave of good fortune as he whacked his way to 27*, allowing his side to declare with plenty of time left in the game. The only solace for Worcester was the performance of 20-year-old Josh Tongue who took 4/81. Tongue, who continues to make a name for himself, having already played 18 First-Class matches, played a huge role in Worcestershire's promotion last year, culminating in an England U19 Test debut and a place in the England Lions squad to Australia last winter. Still trailing by more than 180, Worcester went in to bat again, only to be met by a pumped-up Jake Ball who took 5/59, re-asserting himself at the top of Division 1’s top wicket takers with 21 wickets at under 13 runs apiece. The GM trio of Tom Fell (37), Head (33) and Tongue (21) top scored for Worcester but it wasn’t enough as they were again bowled out quickly, only making 149 as Fletcher (2/28) and Gurney (2/36) joined in the wicket taking festivities to wrap up a convincing win for Notts. The only other result this week came from Taunton as Somerset hosted Yorkshire in a low-scoring affair. 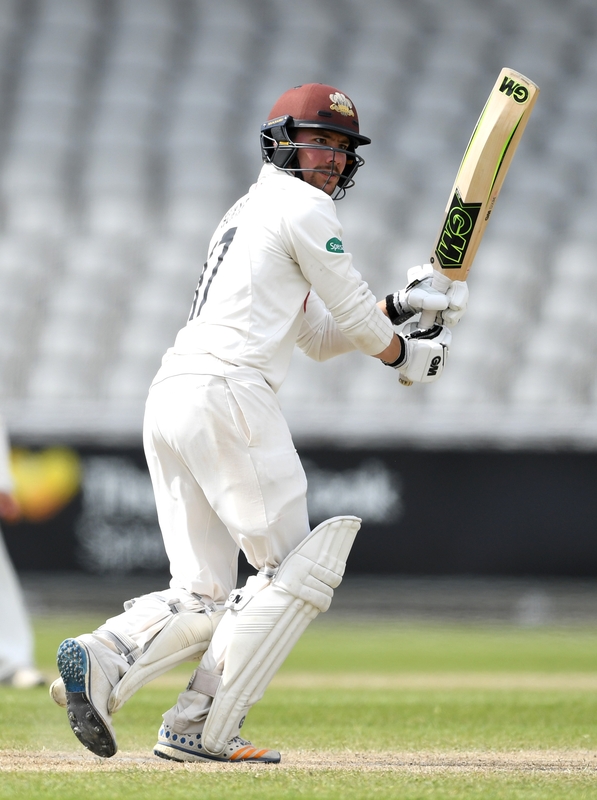 Somerset batted first and found themselves with an unusually daunting total of 249, including a quite remarkable 100 from a Sheffield-born Australian opening batsman, ably supported by George Bartlett (39). In reply, Yorkshire were bundled out for just 96 as Lewis Gregory picked up 3/30 in 13 overs, allowing Somerset enough time to rack up a further 200 runs, setting Yorkshire a target of 320. Adam Lyth began making amends for his first innings run out, notching up 34 runs with 6 boundaries, before Gregory once again came to the show, picking up 2/59, as Yorkshire fell 118 runs short. The rest of the games petered out to draws as the rain unfortunately meant that no other side was able to force a result. The closest to a result came in Manchester where Lancashire piled on the pressure against Surrey. Lancs batted first and, with the help of some fantastic performances from the tail, made 439/9d including a swash-buckling 78 from Jordan Clark. Clark continued to show-off his all-round talents, picking up 1/32 as Surrey struggled their way to 235 all out with contributions from skipper Rory Burns (28) and Ollie Pope (17). Lancs enforced the follow-on and despite a good start from Burns (33), Surrey lost 4 wickets for 37 runs leaving them teetering on the edge of collapse at 90-4, with Clark picking up the vital wicket of Dean Elgar. Pope then restored some order, batting maturely for his 41 and defying the home side for 31 overs with partner Ben Foakes. Pope once again tops the batting charts for division 1, taking his season tally to 237. The final match in Division 1 took place in Southampton as Hampshire took on reigning champions Essex in a surprisingly high-scoring match. 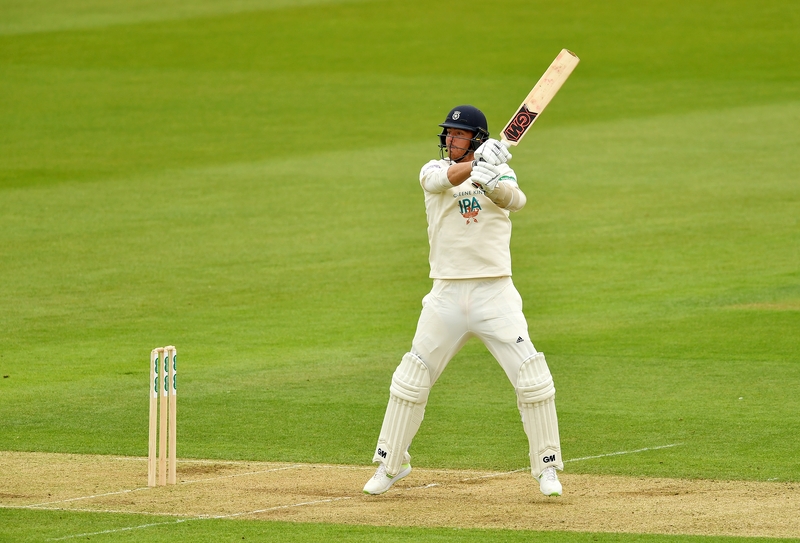 The toss was uncontested and Essex chose to field first which appeared to be an ill-advised choice as Hants’ top order fired, including a typically effortless 47 from James Vince, who is still looking to cement his place in the England top order. Essex quick Sam Cook toiled away for his 2/87, picking up the wicket of Kyle Abbott who made an entertaining 43 (35 balls) before the home side declared on 351/7. In reply, Essex made a strong start before losing three quick wickets with Abbott picking up England hopeful Dan Lawrence before Ryan ten Doeschate put his foot down with some free-flowing strokes before falling for 24. Essex made 330/6 before close of play on day 4. In a game where 204 was the highest team total, only Ollie Robinson emerged as a stand-out player, taking 4/67 and 2/25 and Sussex dismissed Gloucester for 183 and 106/6 before the weather took hold and no further play was possible.With no results possible in Division 2, only one game featured a second innings; that of Sussex and Gloucester played in Brighton. Elsewhere, Dawid Malan’s County season didn’t quite go to plan in a game at Lord’s against Glamorgan, in a game where only 58 overs were possible. Finally, the match between Leicestershire and Derbyshire featured an all-round performance from Derby’s Duanne Olivier (1/94 & 43 runs), picking up some valuable bonus points for the away side.